ML Scott creates this sweet winter scene with the embossed snowflakes and paper. She uses the image from A Cozy Day In which she colors wonderfully. 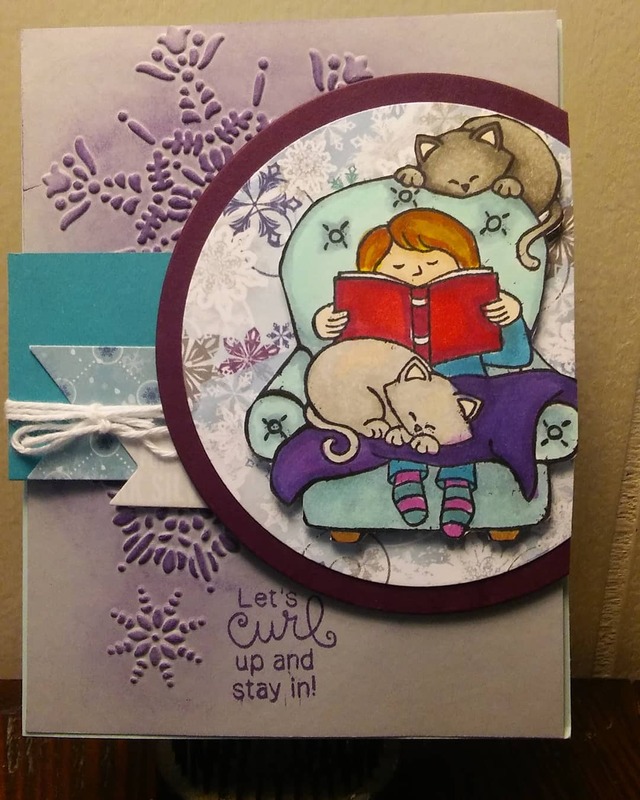 Karren uses such fun colors for this delightful card. 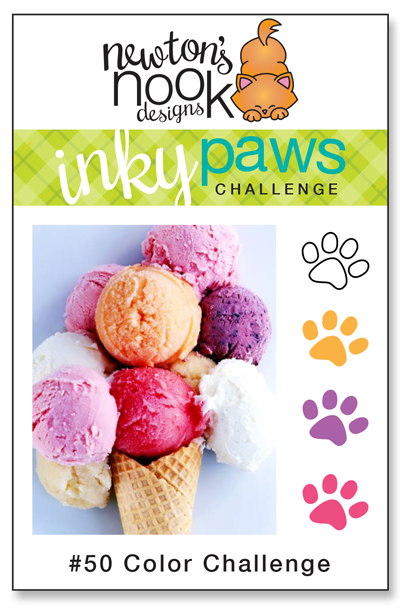 The combination of patterns adds interest with her sweetly colored kitty from the Newton Loves Coffee stamp set. 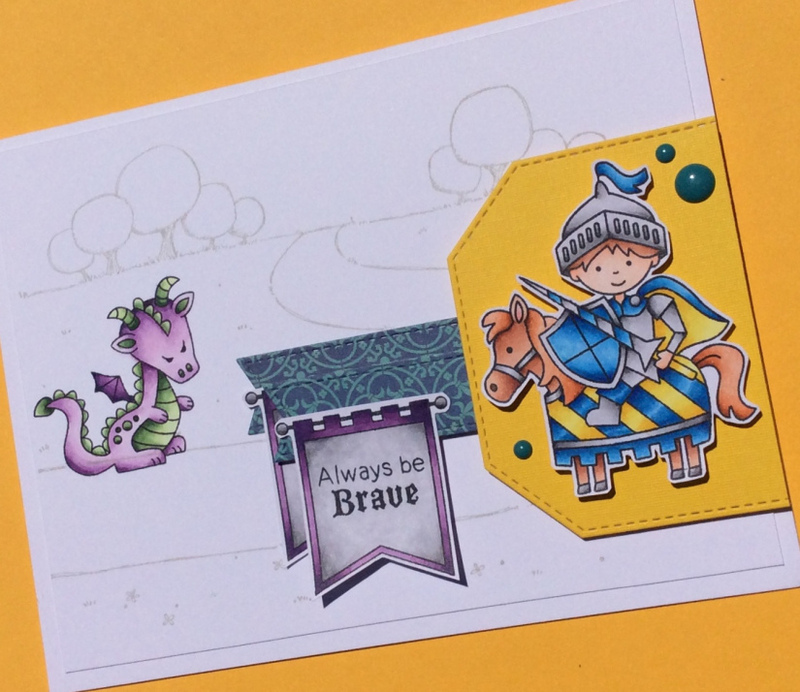 Candice sketches a fun backdrop for this handsome knight from the Knight's Quest stamp set who is showing his bravery against this sweet, oops, I mean fiercesome, dragon! Sue's card just makes us smile with it's bright colors. 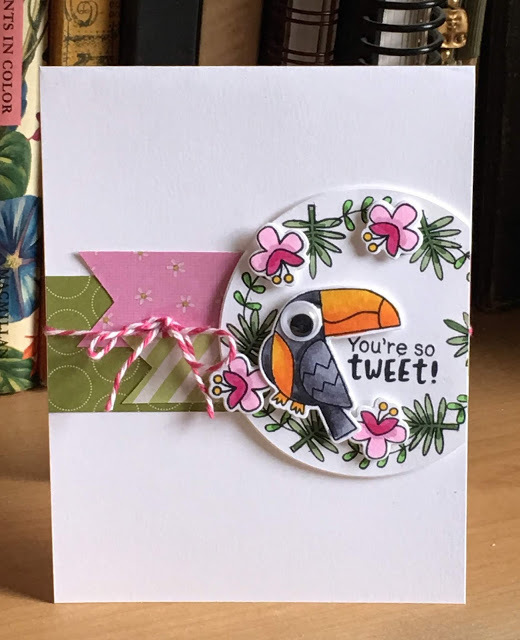 The wreath of flowers surrounding the toucan from the Toucan Party stamp set looks so cute. The googly eye is a fun, playful touch! 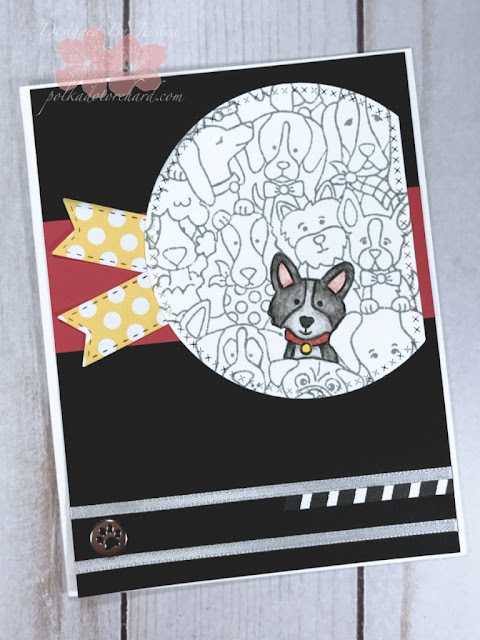 Polka Dot Orchard colors only one puppy in this scene from the Woof Pack stamp set which really makes him stand out. Her use of the black background with the red strip and yellow polka dots provides a nice contrast. 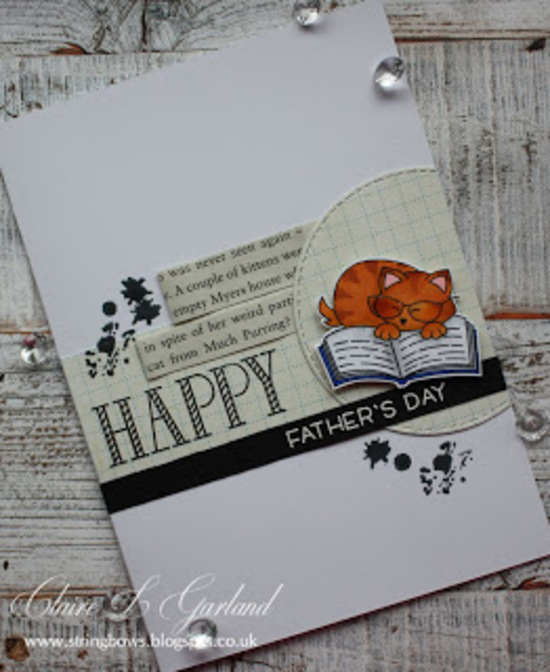 Claire creates this fabulous Father's day card using Newton's Book Club stamp set. She colors her kitty so sweetly and adds strips of a real book to pull everything together fabulously. The touch of glossy accents adds a fun playful touch! I really loved the idea behind, such a cute design! Have a great Monday Claire! Thank you so much for the shout out!! 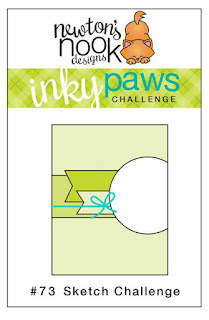 I really had fun with this challenge!! See you next week! Thanks so much for the shout out, Andrea! Congrats to everyone featured here! Happy Dance to all winners! Yeah! Enjoy your day! That’s awesome that I got picked as a favorite.